Enjoy gracious living in this updated 2 bedroom townhome located in the sought after Indian Trail Subdivision. 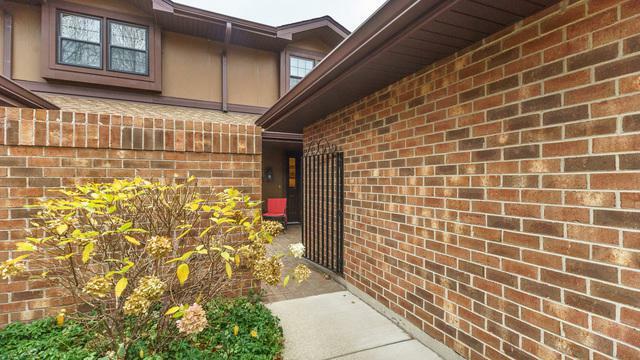 Features include a private enclosed front paver brick courtyard. 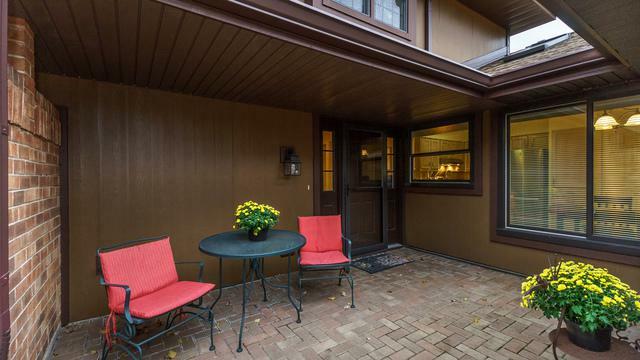 Formal living room & dining room with gas fireplace overlooks large deck & private yard. Cozy den (or 1st floor bedroom) with built-in entertainment center. 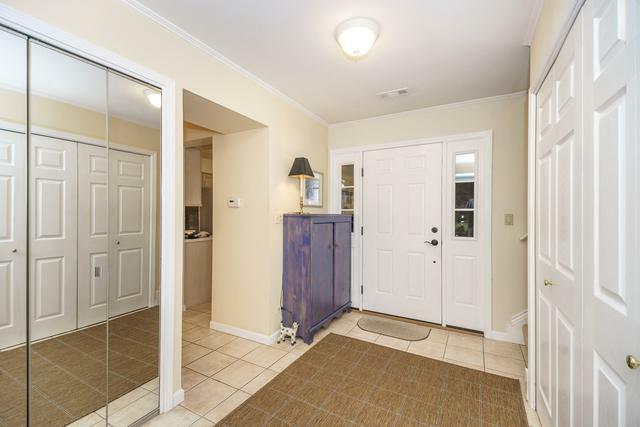 Large eat-in kitchen with skylight, glazed oak cabinets, solid surface counter tops & access to attached 2 car garage. 2nd floor offers 2 generous sized bedrooms & loft. Shared bath has 2 separate vanities. 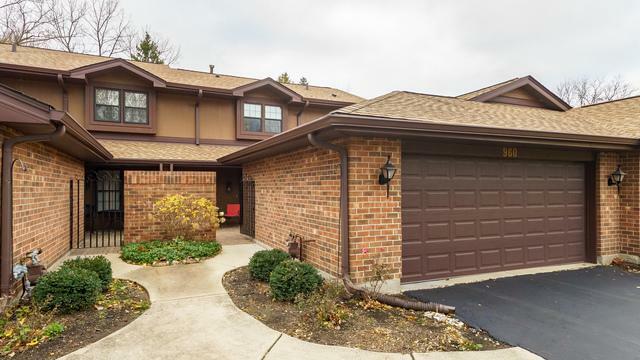 Updates include: New roof, siding, fiberglass entry door & storm door with hidden screen (2015); water heater, GE stove & Broan range hood (2012); newer carpeting, Aprilaire humidifier (2010); Marvin Infinity fiberglass windows, Unilock stone courtyard (2009); Trane furnace & Trane central air conditioning (2007); Garage overhead door (2004); new deck (2002). All custom blinds & window treatments thru-out. Wonderful location, close to everything!